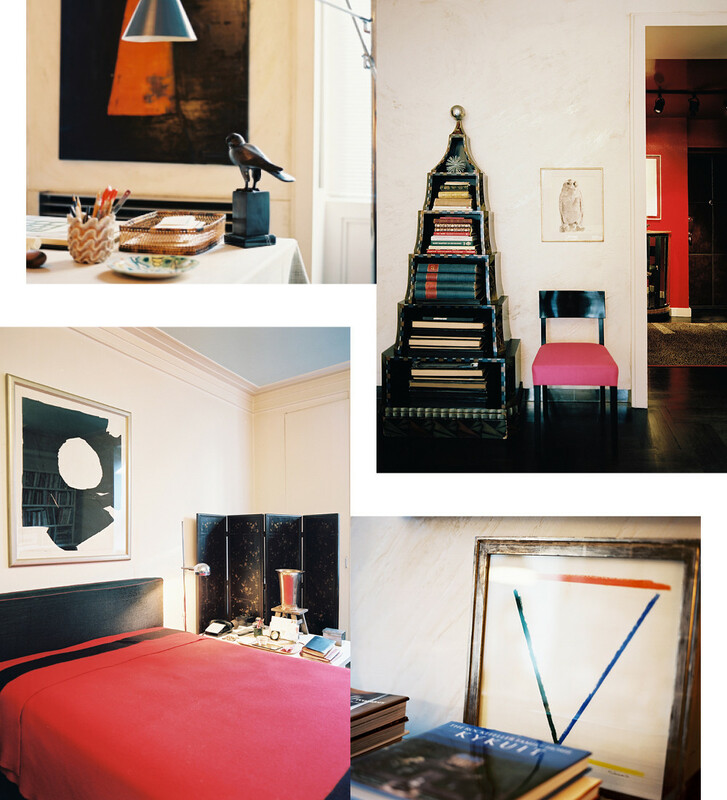 Albert Hadley's effortless style is evident throughout his New York City apartment, especially in the designer's home office complimented by modern art and contemporary accents. Albert Hadley in his fabled apartment on Manhattan's Upper East Side. The paint on his living room walls was mixed with glitter to provide a subtle variation in color. Entering Albert Hadley’s Fifth Avenue apartment amounts to crossing into another, better, New York—into the dazzling fantasy of Manhattan that lures so many thousands of young people to the city with visions of glamorous parties and scintillating talk. Hadley, of course, needs no introduction. Along with his late business partner, the blue-blooded Sister Parish, he designed some of the most glorious rooms ever to grace the nation’s residences, like Babe Paley’s “taxicab yellow” drawing room and Brooke Astor’s oxblood-red library. He helped decorate the Kennedy White House, as well as Greentree, the Whitneys’ Gatsbyesque estate on eastern Long Island. 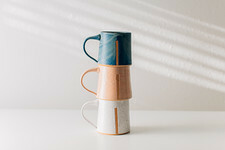 Hadley and Parish are the only two interior designers whose work is on permanent display at the Smithsonian Institution, having elevated interior design into something of lasting national importance. But more impressive than any of these accomplishments, Hadley’s talent has permeated the culture to such a remarkable degree that his influence is unavoidable. 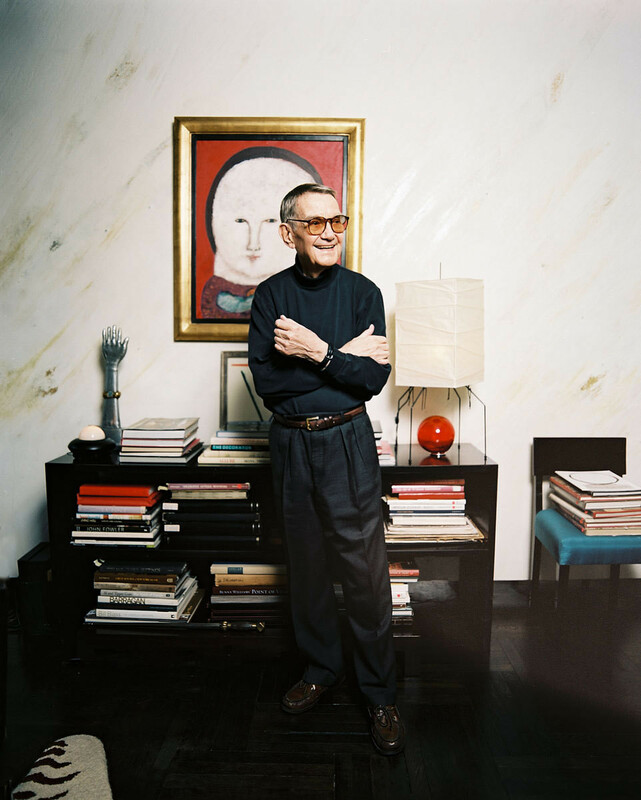 Aside from the innumerable trends he set in motion, he is indirectly responsible for some of the most iconic images of American glamour: in the background of many a Richard Avedon, Slim Aarons, or Annie Leibovitz portrait is an Albert Hadley interior. Clockwise from top left: A contemporary light fixture hangs nearby Hadley's personal desk; The German pyramical bookshelf, which Hadley purchased more than 40 years ago in a Third Avenue antique shop, commemorates the 1936 Berlin Olympics. Hadley upholstered the occasional chair in Schiaparelli shocking pink, one of his favorite colors; The staff of Parish-Hadley bough the Alexander Liberman painting, which orginially belonged to Vreeland, as a gift for Hadley from the 1990 Sotheby's auction of her estate; Hadley's bedroom is a testimony to his classic sensibility and editorial restraint. 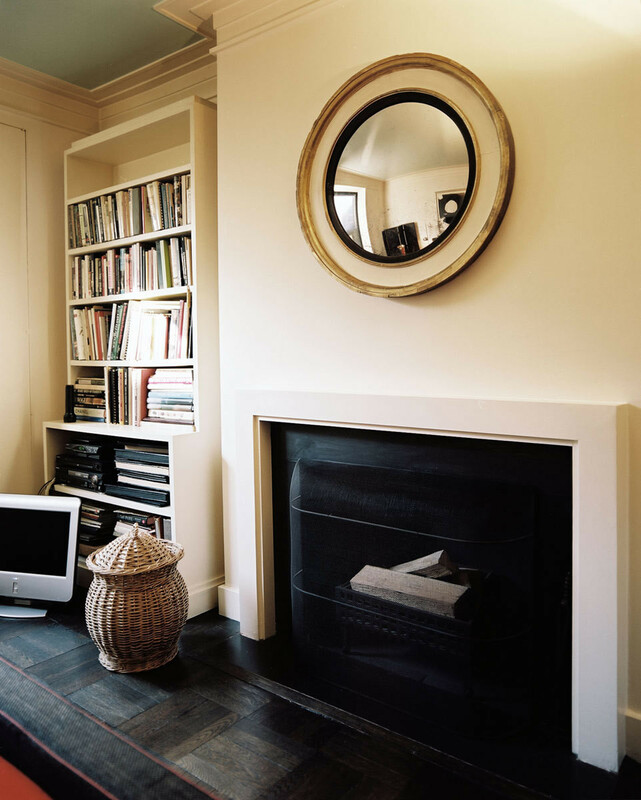 In the master bedroom, a convex mirror hangs above an unassuming fireplace. 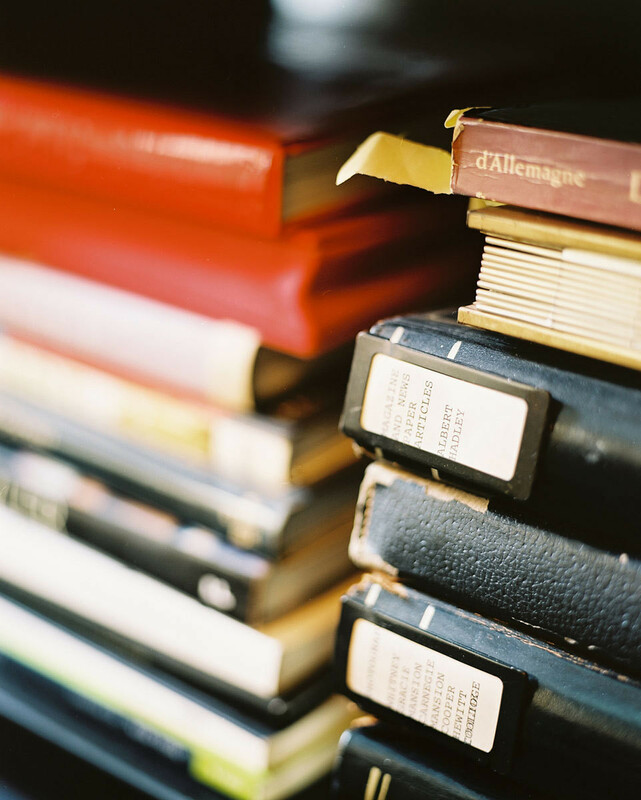 A collection of books filled with Parish-Hadley's press clippings. Needless to say, Hadley’s own apartment is a treasure trove, filled with a lifetime of exquisitely curated art and furnishings. 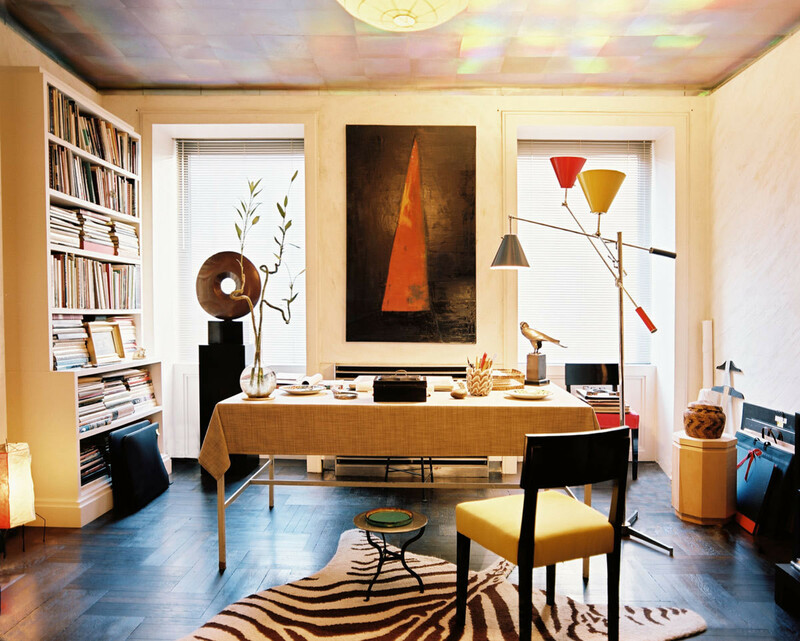 For instance, there’s an Art Deco German pyramidal bookcase, and an Alexander Liberman painting that once belonged to celebrated Vogue editor Diana Vreeland. There are sketches by Van Day Truex, Hadley’s mentor at Parsons School of Design, and a delicately rendered portrait of Elsie de Wolfe. Hadley is known for producing interiors suggestive of great wealth (Brooke Astor once drafted Parish-Hadley to decorate her “ Money Room” ). 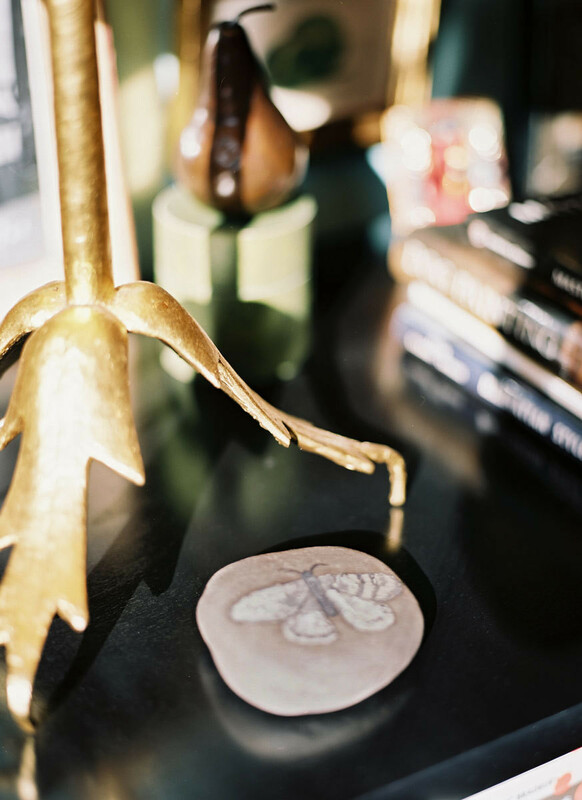 But while his own apartment is luxurious, it’s also intimate, and rife with playful touches. The ceiling of his living room is covered with silver hologram paper, and the faintest glimpse of glitter sparkles through the paint on the room’s walls. 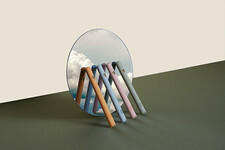 Bright bursts of Schiaparelli shocking pink, Tiffany blue, and canary yellow recur throughout the apartment, lending spark to its refined palette. The parlor and powder room boast Hadley’s own iconic wallpapers. And though the apartment is a fairly modest size, it gives the impression of spaciousness due to the designer’s masterful sense of proportion and scale. In every detail, it communicates the wit, warmth, and sophistication of its owner. From left to right: To add texture and depth, the red walls of Hadley's hallway have a striated effect; The parlor is lined in a wallpaper of Hadley's design. 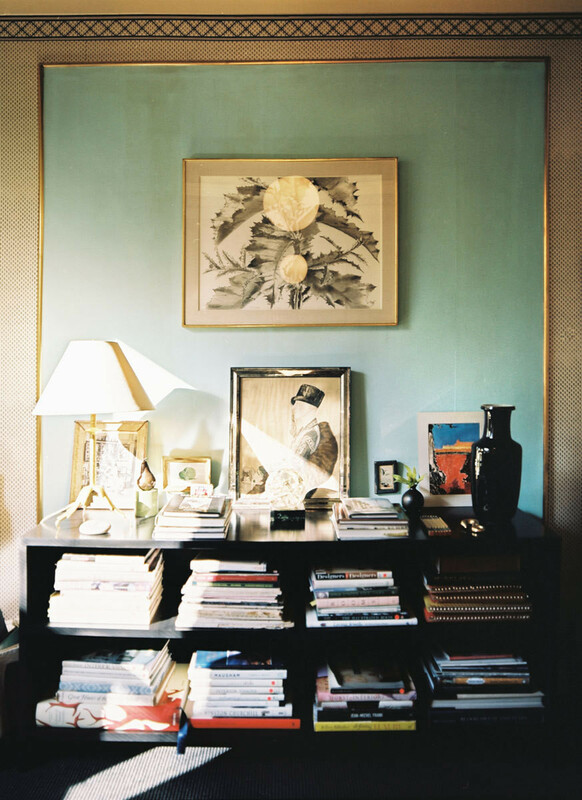 A Tiffany-blue wall provides a splash of color; A gold tray holds a pad of paper near a telephone; A pair of red sconces flank a settee in Hadley's parlor, where a black ceiling and dark wood floors lend definition and drama to the space. The portrait of Elsie de Wolfe numbers among Hadley's most treasured possessions. A stone painted by Hadley's mother, Lois Meguiar Hadley. 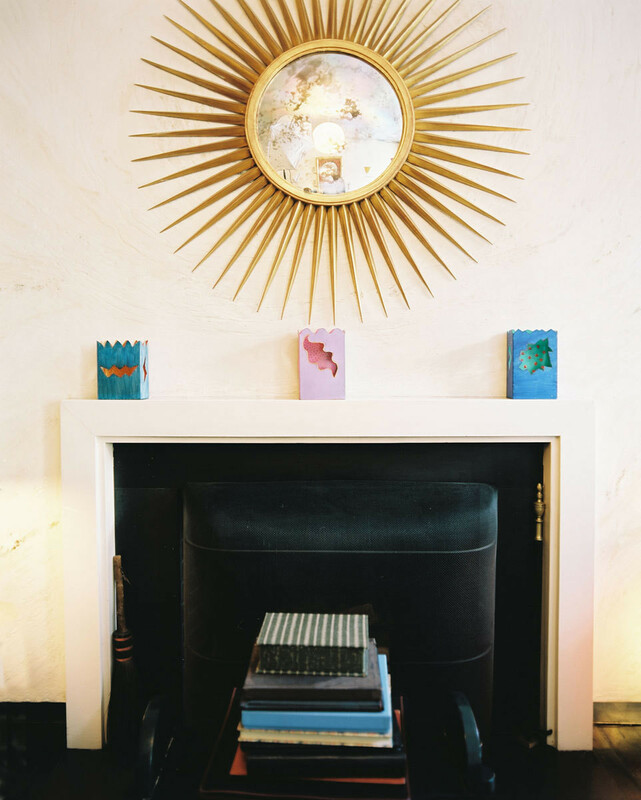 A gold starburst mirror hangs above a narrow mantel. 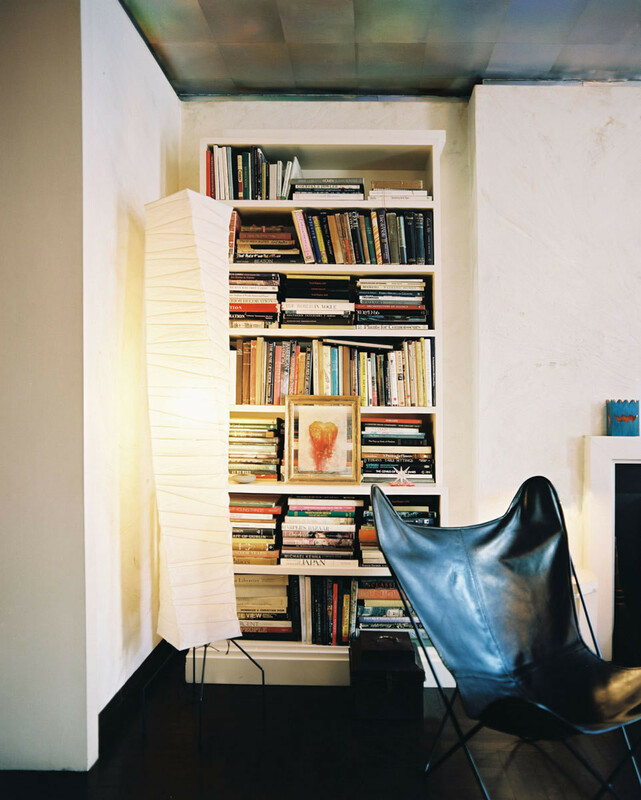 A leather butterfly chair stands before a full bookshelf.